One of the goals of this website is to track the LED adoption rate in its various applications. 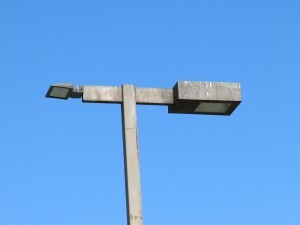 Because of the similarity of technology and proximity to street lights, parking lot lighting seems like a natural next step. 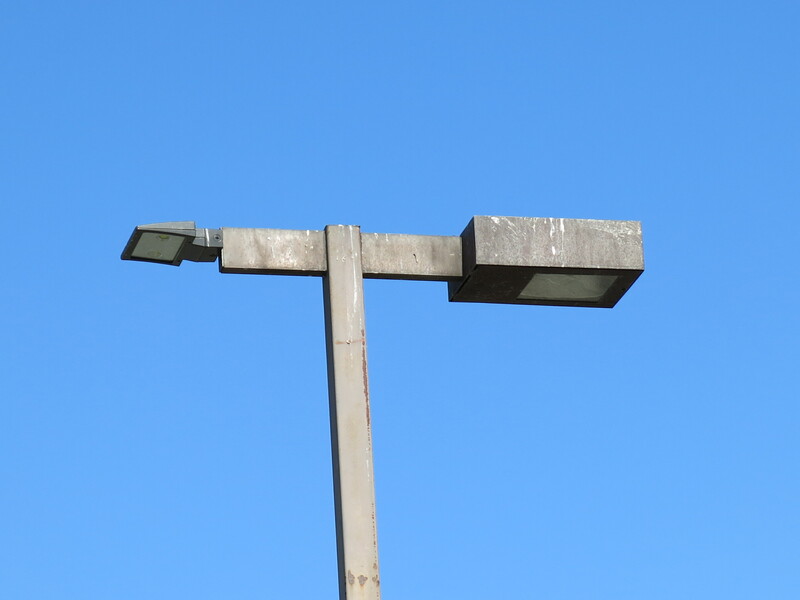 The U.S. Department of Energy, April 2013 report -Adoption of Light-Emitting Diodes in Common Lighting Applications estimatedthat in 2012 there were 44 million street light fixtures in the US and that 1 million had been converted to LEDs. This is a 2% penetration rate, up from 200,000 LED street lights in 2010 for a 4x growth from 2010 to 2012. 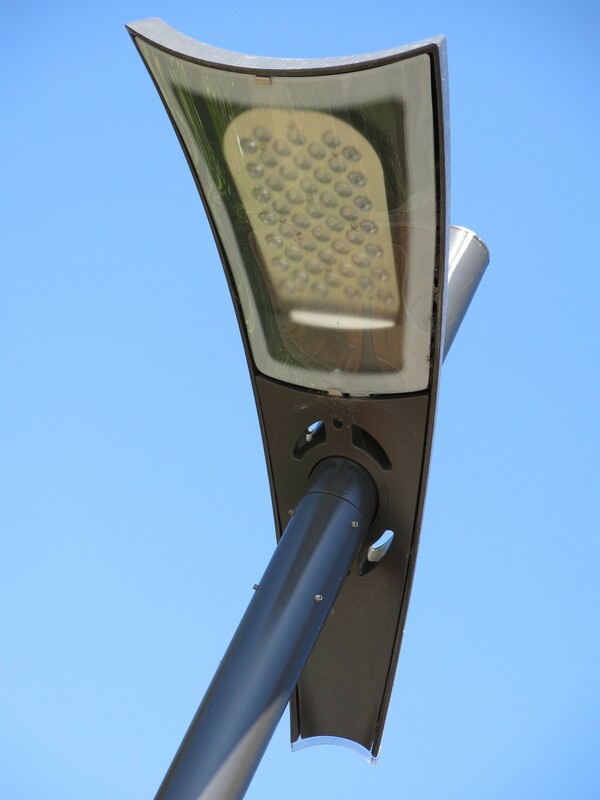 The same report states that there are 54 million parking fixtures (38million -garage and 13million -parking lot) and in 2012 600,000 had converted to LEDs for a 1% penetration rate but at a 10x growth rate from 2010 from the 60,000 installed LED lights in 2010. 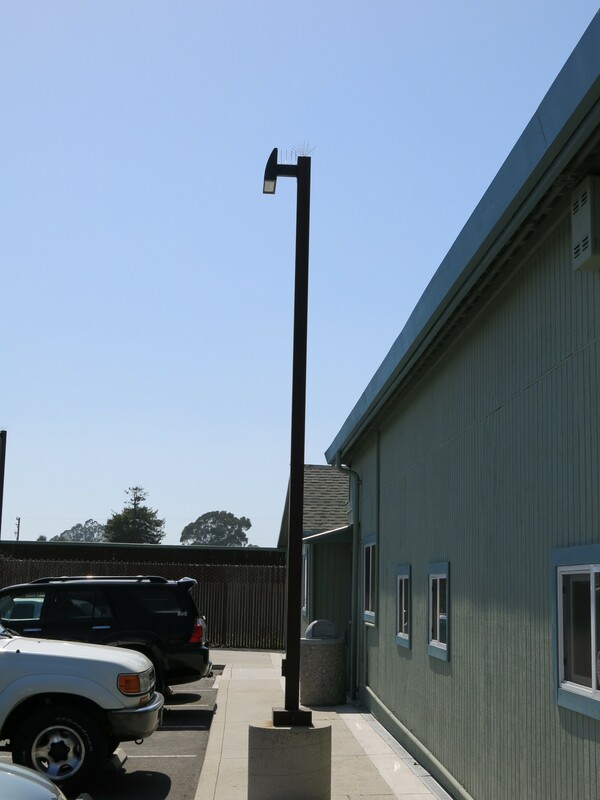 The parking lot conversion rate was estimated at 200,000 LED out of 13 million total for a penetration rate of 1.5%. So on the Santa Cruz area. The first area picked was 41st Avenue in Capitola. It is 1.8 miles long and with the counties only enclosed mall, two big box stores, three supermarkets, two hotels and a number of other businesses it is primarily commercial and the busiest commercial street in the area. 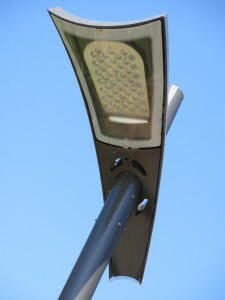 It also has some LED street lights installed along it. 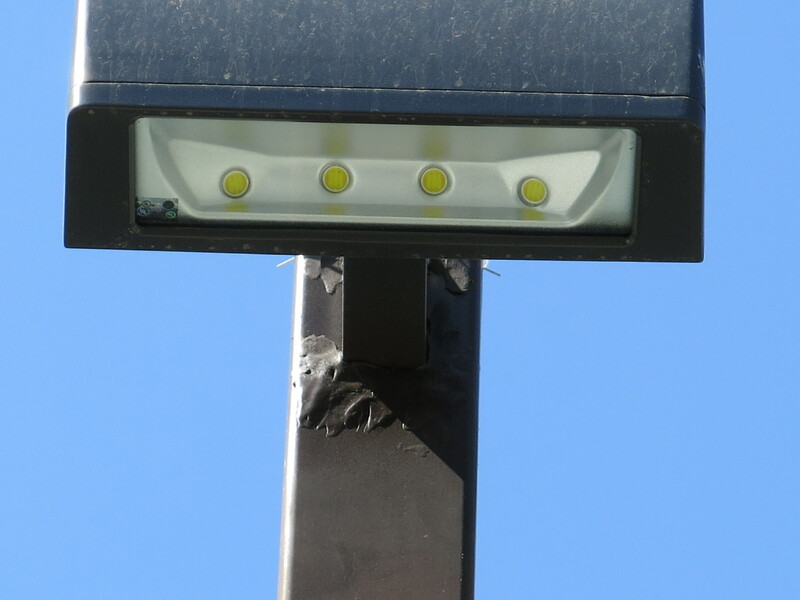 The count – there are approximately 550 parking lot lights along 41 Avenue. This includes the large and small lots, but only those facing 41st Avenue. For example the mall lights that stretched along Claires and Capitola Avenue were not counted. The lights in the two covered parking garages were not included in this count. Almost all of these lights are the shoebox style HID lights, with some architectural lights along the edges and driveways of two of the larger lots. LED penetration – of the ~550 lights – 16 are LED. For an almost 3% penetration rate. The 16 lights were installed in 4 different lots. We will periodically recount the lights and track and publish the adoption rate. 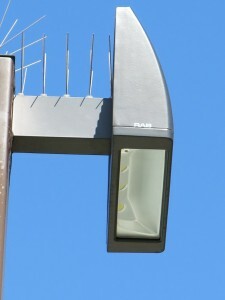 The installed LED luminaires take advantage of the ability of LEDs to be packaged into compact and unique shapes while delivering the energy efficient light. These lights are located at 1030 41st Avenue, 1071 41st Avenue and 1200-1220 41st avenue. A technical note on the lights with the large yellow – egg yolk looking spots. All of these styles of white light LED luminaires generate the light from a blue LED. A yellow phosphor is placed over the blue LED which converts the blue light to look like white light. Some LEDs are made with the phosphor directly on the LED – the lights at the top are like this so the yellow area is small. Another way to make the lights is to have the phosphor mounted above the LED – remote phosphor is the term. 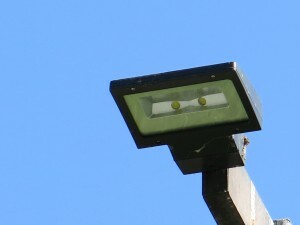 This is what you see in the lights with the large yellow areas.